Gardens of the Moon is the overture to The Malazan Book of the Fallen, providing just a glimmer of what this massive, grimdark epic fantasy tale has to offer, which was best described below in the author's own words. "Now these ashes have grown cold, we open the old book. We are history relived and that is all, without end that is all." It is often said that The Malazan Book of the Fallen flings the reader, whom is expected to work hard, into the deep end. Armed with this knowledge as it is, I was still not prepared for what was to come. Turn the first few pages and one will come across intricate maps, and a Dramatis Personae that has more names than a standard fantasy trilogy and this was just the first instalment. The characters were introduced at almost breakneck pace within the first few chapters as a sorcerous conflagration of epic proportions took place in a siege that one normally reads during the climax of a book. Structured into sub-books within a book, the second one opened in a completely new location with more new faces. Gradually though one can detect the inevitable coalescing of the various plot lines of all these characters onto a common path. By then, the story truly becomes quite engrossing, toil notwithstanding. It will be remiss of me, however, not to admit having to refer to the famous Tor.com's thread on this series to assist me along the way. The narrative was also not made for breezing through. There's substantive weight and pathos in the manner of Erikson's writing, which was further compounded with a lot of introspection and philosophical musings. Each sub-book and chapter were preceded by an epigraph, in the form of poetry or a passage from various in-world literature, with an allegory to the main story. Even with the staggering cast of characters and its third person narrative, Erikson was able to imbue them with enough personality and individuality that made them memorable and, most of the time, relatable and likeable. It seems that the best kind of development always occur when people are thrown into a situation of conflict. I was particularly referring to The Bridgeburners in this case, a somewhat special elite squad within the Malazan Army, led by Whiskeyjack. The unshakeable love, loyalty and bonding between soldiers who have been through the horrors of war and insurmountable grief are truly compelling. The outer layer of sarcasm and humour threaded through their interaction with each other only intensifies the emotional resonance. Whiskeyjack, a man pushed to the edge, or, rather, the edge creeping on him on all side, a crumbling of belief, a falling of faith, leaving as his last claim to humanity his squad, a shrinking handful of the only people that mattered any more. But he held on, and he pushed back - pushed back hard. Quick Ben and Kalam, seeking to take responsibility from their sergeant's shoulders. It was their only means of loving the man, though they'd never put it in such terms. Then there is that one character that personified the terms awesome and badass. Every single scene he appeared in was among my favourites - be it an epic scene of great power and sorcery, or one of quiet and intimate conversation that bespoke patient despair and frustration. Mane of Chaos. Anomander Rake. Lord of the black-skinned Tiste Andii, who has looked down on a hundred thousand winters, who has tasted the blood of dragons, who leads the last of his kind, seated in the Throne of Sorrow and a kingdom tragic and fey - a kingdom with no land to call its own. The other characters were by no means lightweight but were too many to have a special mention aside from those I felt were the most memorable. The Bridgeburners alone comprise a host of fascinating characters whom, besides the aforementioned Whiskeyjack, Quick Ben and Kalam, can be found in the likes of Dujek Onearm, Toc the Younger, Fiddler, Hedge, Mallet, Trotts, Antsy, Picker, and its latest addition Captain Ganoes Paran - a young noble whom as a boy proudly declared that one day he'll be a soldier and did end up as one against the advice of a certain weary commander. As for the worldbuilding, I cannot even begin to explain or describe how richly imagined the world of Malazan is. I have to use the term 'people' above very loosely to describe all the sapient beings that live on this world, which range from the humans, to various species both mundane and magical. The magic is complicated to say the least and my knowledge of it only extends to that of warrens (which also appear to be portals of sorts) granting the user the patronage of particular sorcerous abilities. This depends on which 'House' or magical species the warren is aligned to. With its exceedingly deep history which spanned a few hundred thousand years, there are warrens of Elder magic which are more powerful, wielded by the first ancient living beings in this world. Even the names of all these warrens are pretty complex. Then there is the Deck of Dragons - the coolest yet most difficult to comprehend divination tool I've ever come across - like tarot cards except that it's definitely magical and from what I've discerned so far, only people with certain talents are able to employ the Deck meaningfully. This review is written both from my initial impressions as well as my experience of reading this the second time around. As a rereader, I find that the book holds up very well for a revisit. With hindsight, one can better appreciate all the hints and foreshadowing and it makes for a slightly (only slightly) faster reading pace. For those who come into Gardens of the Moon and struggle with trying to understand the composition of characters and the intertwining subplots, my advice is not to try too hard. It will come together eventually and the payoff will be worth it. Of course, there is always the Malazan thread at Tor.com to help. 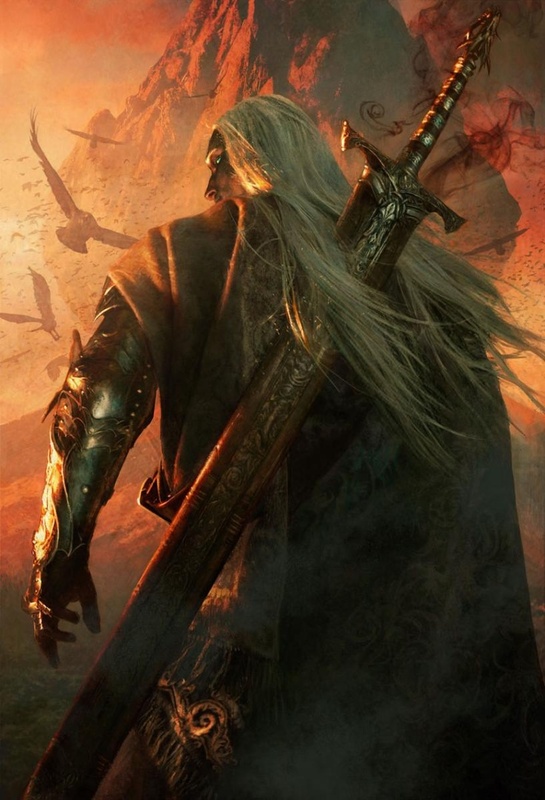 If you have decided to embark on this journey through The Malazan Book of the Fallen, I bid you welcome to what may become the most rewarding hard work you'll ever undertake for the love of epic grimdark fantasy.